Michael & Michael Have Issues: "Frogbox"
We're seven episodes in and I'm surprised the season's already over; it feels like it just started. Tonight's season finale guest stars Jon Benjamin and Rob Huebel, actors Jeff and Larry on a competing, higher budget sketch show on the floor below Michael and Michael. And though they've won over the competing office with their spot-on helicopter personification, the Michaels hate them just ever so much. And after Jeff and Larry invite the Michaels to be in a sketch on their Dog & Pony Show—and the experience turns out to be an elaborate prank to superimpose Showalter and Ian Black's heads over Jeff and Larry's dongs for a sketch called "Dickheads"—Michael and Michael do something rare on this show: They seek revenge, but together. Unfortunately, "Frogbox" (it's exactly what it sounds like) lacks the ridiculousness and sense of farce that made previous episodes, like "College", so enjoyable. That's not to say "Frogbox" is bad—Michael & Michael is a show with some consistency—it's just that after hitting so many highs, I found this episode disappointing, especially because it gave the Michaels a chance to really push each other comically. Two worst enemies begrudgingly swearing an oath to cause mischief. There are a few moments where the Michaels really click, though. Their fake sketch writing when Jeff and Larry come into their office; the following conversation in which Jeff and Larry say they're big fans of Michael & Michael, but speak only in generalities (MIB: "Did you see the one where Michael and I…" JB: "Stop right there, because I did. "); the boys' excitement to get the box of frogs—and Kumails' sadness to let them go; Showalter screaming into the phone for Biederman to pick up when they find themselves locked in Jeff and Larry's office; the drawn-out questioning of why the Michaels would decide not to frog them after all, particularly Huebel screaming at Showalter. The rest found itself mired in disaffection—the guys are wronged, but only get moderately riled-up—and repetition—picking on Marla is dandy, though not if it's too similar to what we've seen before. But whatever. This show is good, guys, and it'd be a real shame if Comedy Central let it disappear without a proper second season. 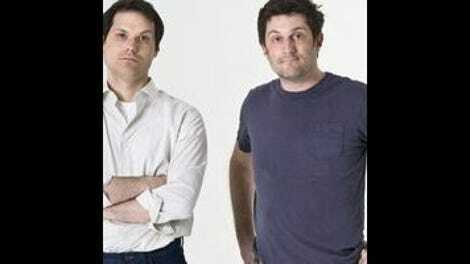 I've always had a ton of respect for both Michael Ian Black and Michael Showalter: No matter where their careers go, no matter what criticism they receive, they remain committed to doing, simply, what they themselves find funny—even if that thing turns some people off. I recently chatted with David Wain, and he told me the best part about Stella, for him, was the fact that these guys were doing a lot of the jokes solely for the benefit of those involved—that the rest of us were watching a bunch of inside jokes. Michael & Michael is the same way, and a lot of people are going to find that off-putting. 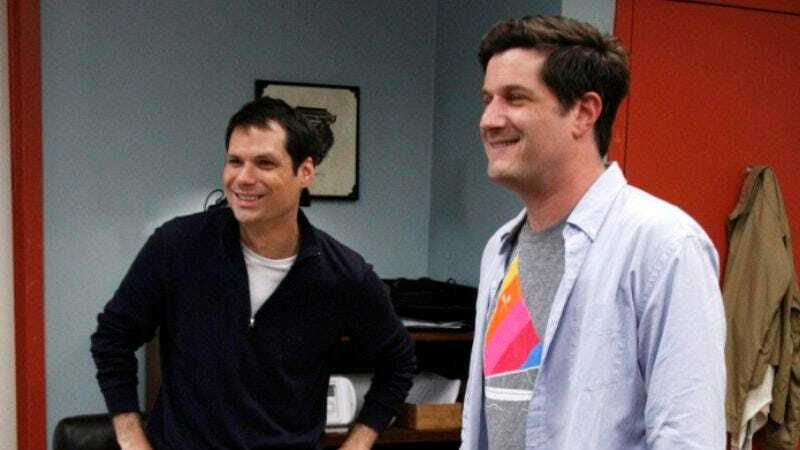 But these inside jokes are great, simply because Michael Showalter and Michael Ian Black—through the show's format and closeness to the guys' real-life sense of humor—have figured out a way to make their comedy inclusive. Well done. Sketches tonight: Banter about bullies, a scene where two rivals silly-duel for the love of a girl. Eh, they're fine.